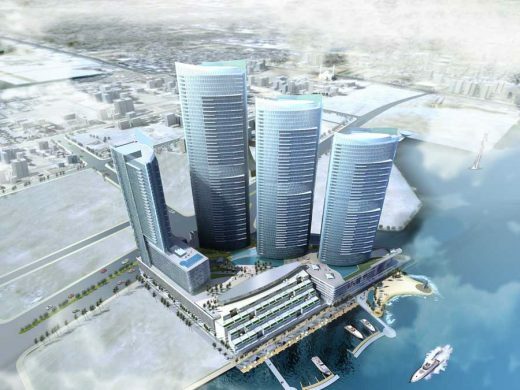 Atkins was commissioned to carry out the concept design for Nomas Towers, which sets a new benchmark in destination design for Bahrain. 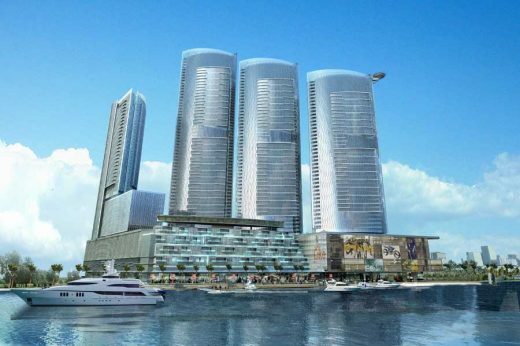 A true mixed-use facility on a massive scale, Nomas Towers combines premium residential apartments and townhouses, three floors of retail and entertainment, a five-star hotel and boutique waterfront office facility. 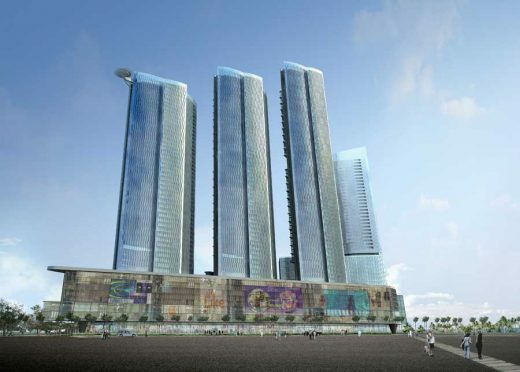 Nomas Towers forms a new nucleus for Juffair, anchoring Bahrain’s new eastern “city centre”. 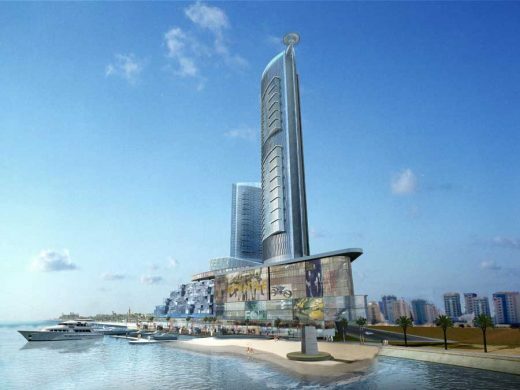 Peppered with cafes and restaurants, and lined with public attractions and amenities, the Nomas Towers corniche orders and defines a new, exciting and inclusive civic realm bustling with activity and life. Central to Atkins’ current work is a carbon-critical design. Nomas Towers delivers on this economically, socially and environmentally. A great place to live, work and relax, taking the pressure off the road network by offering a lifestyle experience centred around one place. Innovations include the podium sky villas, aimed at bringing young families into the development, and extensive rooftop gardens and pools that aim to create microclimates suitable for use year-round. Placement of flexible office facilities within the development in proximity to homes and restaurants ensures that the site will be efficiently utilised 24 hours a day. Officially the Kingdom of Bahrain (Arabic: مملكة البحرين), is an island country situated near the western shores of the Persian Gulf in the Middle East. It is an archipelago with Bahrain Island as the largest land mass. Saudi Arabia is to the west and is connected to the country by the King Fahd Causeway while Iran lies to the north across the Persian Gulf. The peninsula of Qatar is to the southeast across the Gulf of Bahrain. The population in 2010 was 1,234,571, including 666,172 non-nationals.